Just a small selection of my writing journals! Writing journals: not all of us use them but many of us writers keep them, in one way or another: whether as a specific writing journal, as a diary, a notebook, or other. At various points I have kept, and continue to keep, all of these. I have diaries stretching back decades, amongst which is one dating from when I was 12. Amongst all the stuff about school and food(my mother is a fantastic cook and I was always writing down stuff about the cakes she’d made!) I also mention writing projects I’d undertaken, such as ‘The Twins’ Highland Holiday’ which I don’t remember at all but which sounds very much influenced by Enid Blyton! Meanwhile, a tattered exercise book dating from around age 16-17 has notes and research as well as the first few chapters of a massive fantasy novel, never finished. Travel journals kept at various points have also included vignettes of scenes, ideas for stories, as well as observations of things I saw around me, many of which fed into stories later; while there’s piles of notebooks filled with often indecipherable scrawl about plots, characters, themes, sudden ideas, observations on chapters I’m working on, and more. And in 2007, after having been given a gorgeous notebook by one of my publishers, Random House Australia, I decided to start a different kind of writerly journal, which I call The Literary Life. 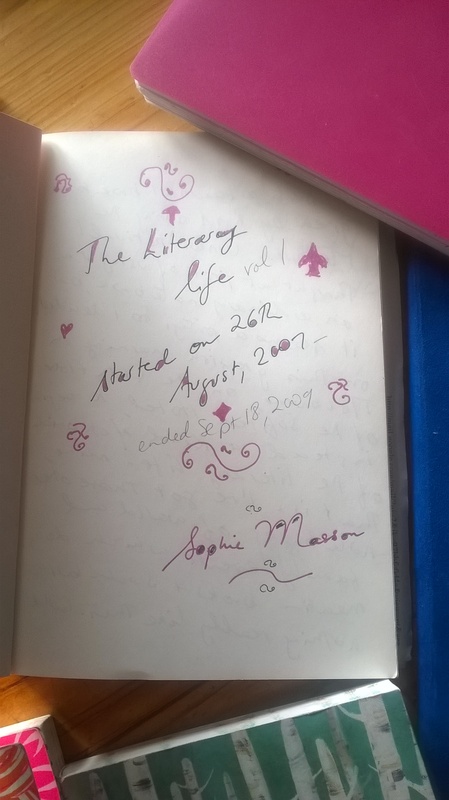 This journal, which has now run into six volumes, is a chronicle of the literary life–my own, and within the wider literary world–and is an honest and unvarnished portrayal of life as a writer: the public and private, the festivals, launches, meetings with other authors and illustrators, publisher meetings, struggles and excitements of writing, challenges and pleasures of the publishing industry, emotional highs and lows, talk about literary groups and news and yes a little gossip too! Though it isn’t strictly speaking a writing journal, keeping it has not only helped me to vent frustrations and express observations, it’s also helped to clarify my own writing trends and re-reading the journal’s back issues, as it were, has enabled me to reflect back onto projects I have worked on in the past. Do you keep a writing journal? How long have you kept it? What medium is it in–hard copy or on screen? And how useful do you find it? Here’s a selection of answers. Yes, I keep a writing journal … in that I keep a journal and all I really write about in it is my writing! I’ve kept my diary since I was 12 years old, and have always recorded my hopes, my dreams and daydreams, my disappointments, my ideas, my inspirations, my writing process … I use it to work out problems, to make lists of things to do, to scribble down flashes of inspiration, to keep a record of the creative process. 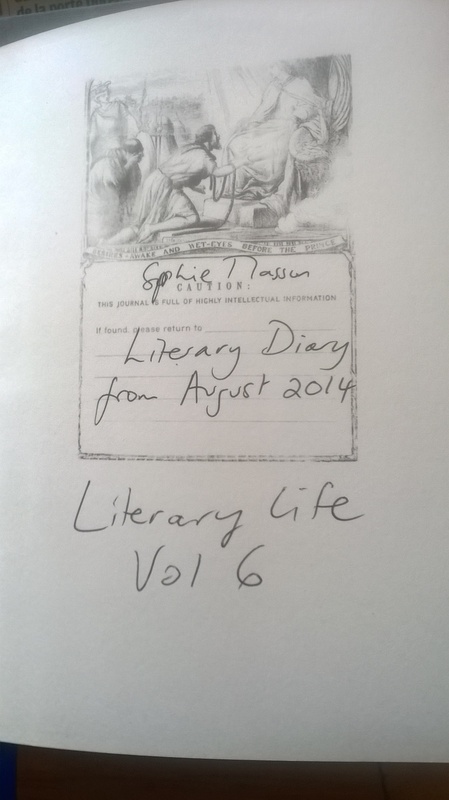 I write longhand in a notebook, and have about 60 volumes – I average 3-4 diaries a year. I also have a notebook for each novel, in which I keep a work every day as I’m writing – I stick in or draw pictures, maps, diagrams – keep a record of my research … write character outlines … record word counts … all dated so I can see how long it takes me! 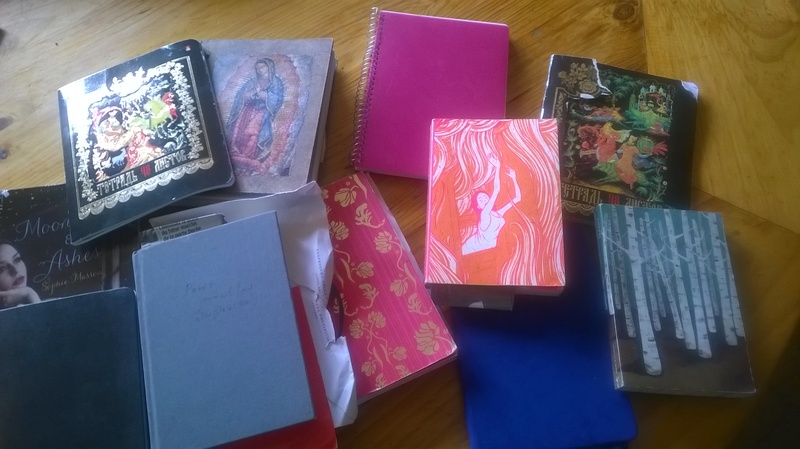 How useful do I find them – my diary and my notebook? I could not live without them, let alone write! I have recently begun keeping a writing journal, just over the last six months or so. I have found it to be invaluable, especially in terms of reviewing my frustrations with time, what is hanging me up, and in terms of keeping track of some story possibilities that I might other wise lose. My journal is a hardcover, lined paper variety, which I much prefer to the computer for ease of reference. I also find it almost therapeutic to be able to put pencil to paper sometimes; writing longhand is its own form of creativity, I think. I haven’t kept a journal for many years, though I think it’s an excellent thing to do. I stopped when I felt I didn’t need it any more … but it was my great salvation during my long, long period of writer’s block. After I’d failed to finish every piece of fiction I started for five or so years, I realised I had to write SOMETHING! So I began to keep a journal, setting myself not less than one page per day (but no maximum – some entries were 15-20 pages). 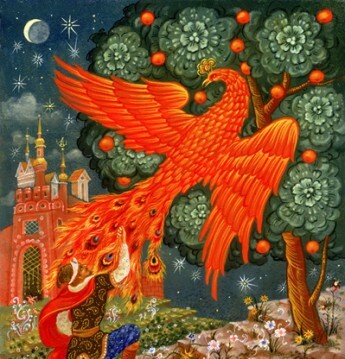 Everything went into it – dreams, events, thoughts, self-analysis, pieces of description. I began it when I came to Australia – a new life in more than one way – and continued for ten years, plus a few shorter bursts after that. It didn’t see me out of my period of writer’s block, which went on for several years more, but it kept me sane and it kept me writing. I don’t keep a journal now, but I do make notes on all sorts of ideas and experiences. Because I’m always planning books far far ahead, I can see where they’re going to find a fictional home by and by. So I’m not so interested in them as MY experiences – and although the kind of fantasy I write draws ultimately on feelings I’ve been through myself, it looks nothing like a memoir. Plus journal-writing takes so long! I need to give all my time to producing final stuff (after my 25 years of producing nothing at all)! So, do I keep a journal now? No. Do I recommend keeping a journal? Yes, very definitely. I don’t keep an actual writing journal, but I do have small notebooks – usually a few on the go at a time – where I jot down any random book-related thoughts. These tend to have to share space with other sorts of writing, though – generally of the domestic type, shopping lists, addresses, quickly dashed off school absentee notes etc. I also use the notes function on my phone. It’s great for those moments when brilliant ideas arrive unexpectedly – usually late at night when I’m about to drift off, and it’s too dark to write anywhere else. I’m waiting for a waterproof phone — so many good ideas lost in the shower, or while swimming. I’ve done this for two years or so, and began doing so after going to workshops where several writers explained how useful they were. They were right! I find them very useful both as a reference if I get stuck, or just to write longhand in. I find my style is a bit more relaxed using them in this way than it was writing exclusively on computer.